Q3. Do you offer samples9 A3: You can get 1-2 pcs free sample in first order to check the quality. Q4. How many styles for my select9 A4: Many types for your choose,and we update 10 products per month. Q5. I am a designer, Can you help me to produce the sample which we designed9 A5: Many types for your choice and customizing. Any item you are interested in,you can contact us online or send us a inquiry letter with your contact information and the items that you are interested. Please tell me which design and quantity you want, then I can quote you the best shipping cost. 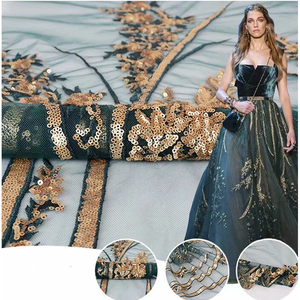 Q3: what is your MOQ9 A: First, If you want to buy the design in stock, the MOQ is one piece(5 yards) Second , If you want to produce your own designs: The MOQ of lace are more than 100 yards per one color design. hope to establish mutual benifit relastionship with you! 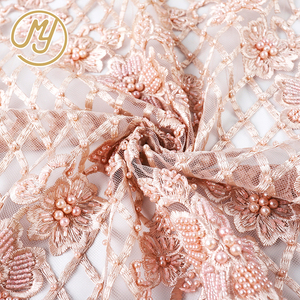 tulle bridal voile net lace fabric coining satin flower with shining squins and beads for wedding dress item no. other payment terms also can be discussed, based on our cooperation. 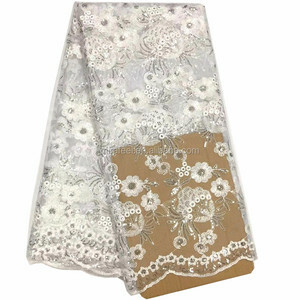 Tulle bridal lace fabric coining satin flower with shining squins and beads for wedding dress Item No. 2. 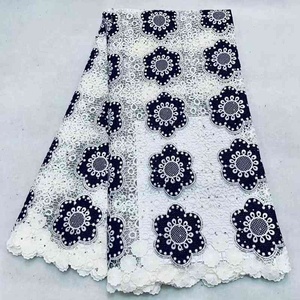 Widely used in wedding dress,fashion,garment and home textile because of its comfortable hand feel,good color fastness. 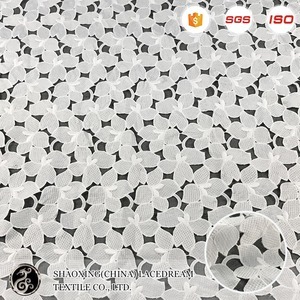 3.We can and will control our fabric quality with mature techaology,and also provide our service with much sincerity. 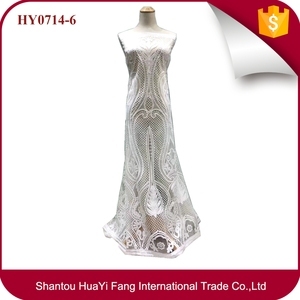 Shaoxing City Hualai Embroidery&Home Textile Co., Ltd.
or according to cus to mers' request. for parcels, besides the tnt, ups, fedex, dhl, we hv special line for every country which is more economic overall. 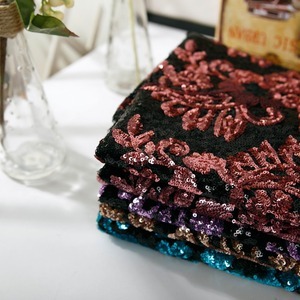 Ningbo Desita International Trade Co., Ltd.
s A5 size fancy sequins notebook size:A5size,80sheets,80g paper MOQ:12 00pcs/order Other specifications and patterns can be fixed. Squin book with embroidered design Squin book with printed design Squin book with pure color Other style of sequins notebook ------------------- Packaging & Shipping 50pcs carton, 45*31*24cm, GW:14.5KGS Unit:opp bag/piece Our Company Ningbo Desita Industrial Co., Ltd. ,located on beautiful sea city Ningbo,China, is a specialized supplier of Led Light, Kitchenware, Houseware, Camping Products, Garden Products, Personal Care Products,Arts & Crafts, Stationery, Home Appliances etc General Merchandise. 5. Launch 50 new designs per month according to the fashion trends. 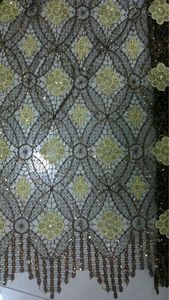 Sample make is available based on photos, and sample cost will be deducted in direct bulk order. Wear it as a contemporary alternative to your classic denim jacket. Bfu Clothing Accessory (Dongguan) Co., Ltd.
customer &ndash;oriented as our company value, bfu ,best for you! our products passed oeko-test and also can meet euro-environmental protection standard. 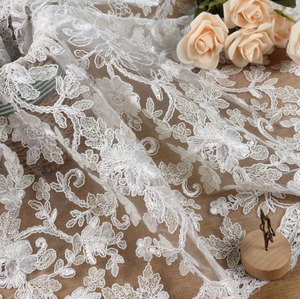 Suzhou Angela Wedding Co., Ltd.